As Johor is located at the most South side of Malaysia, it makes it considerably easy to travel to Indonesia. With ferry operators like Kukup Ferry to provide transfers between the two countries on a daily basis, it makes it super convenient to get around. Easybook wants to make it even more easy for you when you do not have to leave the comfort of your home to purchase a ferry ticket. All you need is an internet connection and you are on your way to make your online booking for Kukup Ferry tickets within minutes when you follow these simple booking guide. Kukup Ferry is a ferry company based in Kukup, which is a fishing village that is famous for seafood restaurants on stilts over the water. It is a wonderful town to escape the busy city life where you can explore the mangroves at Kukup Island National Park or go bird watching at Tanjung Piai National Park. Here’s a great chance for you to experience how the locals go about their daily lives and learn about their new culture. 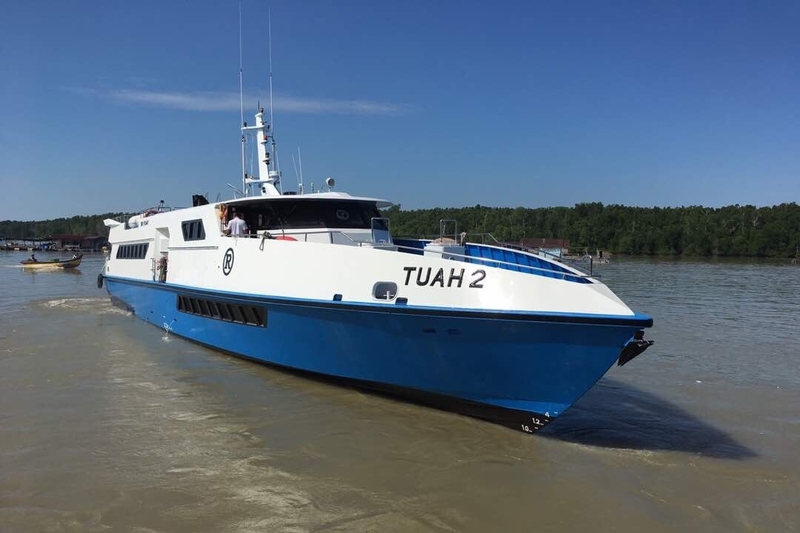 This ferry operator that is also known as Penaga Timur (M) Sdn Bhd provides comfortable and safe ferry trips if you plan to go back and forth Johor and Indonesia conveniently. When you choose to travel with Kukup Ferry, you can choose to travel from Tanjung Balai Karimun Ferry Terminal, Indonesia to Kukup Ferry Terminal, Johor, with return trips as well. Please check the full schedule and price for the mentioned route above on Easybook. You can find the boarding and arrival for Kukup Ferry at Kukup Ferry Terminal or also known as Terminal Feri Antarabangsa Kukup. This ferry terminal is pretty straight forward for all your boarding needs with many restaurants from seafood spots to local coffee shops along the road of Jalan Pontian - Kukup that leads to Kukup Ferry Terminal. When you are travelling to or from Tanjung Balai Karimun Ferry Terminal, please note to not confuse this with Tanjung Balai in Asahan Regency. Tanjung Balai Karimum is a town in the Great Karimum in Riau Islands with plenty of good places to dine at around the area. There are accommodations with affordable prices located nearby if you plan to be nearer to the ferry terminal. Start booking your ferry ticket with Kukup Ferry for your trips to Indonesia or Johor conveniently with Easybook today. Whether you are heading to Tanjung Balai Karimun for a holiday with your family or to celebrate your birthday at Kukup Island with your friends, Easybook is ready to make your life simpler. We look forward to serving your next trip with Kukup Ferry!